Creating and managing a logistics plan for any business is a huge job with a lot of different options. Plus, with the huge technological leaps that have occurred in recent years, customers and clients expect their products to come in almost immediately—and that doesn’t make your job any easier. Thankfully, the shipping industry has adjusted and innovated along with customers’ expectations, and there are many shipping and transportation options to choose from. It may seem surprising, but freight shipping continues to be a preferred option for many businesses. Though freight shipping may seem like a form of transportation from decades past, it’s actually still a great option for a lot of businesses—and it’s not all the same. Deciding on the best kind of transportation for your products can be more personalized than you think. 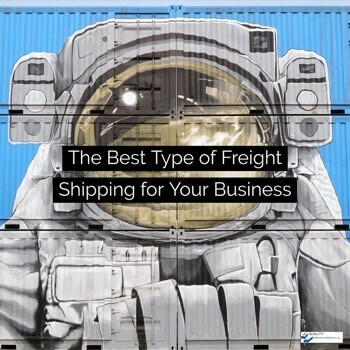 There are a few different freight shipping options to choose from, and that choice should depend on your needs and preferences, your business, and your products. How big and how heavy are the shipments? How far do they need to go, and how quickly do they need to get there? How often will we be shipping? These factors will drive your decision and freight companies’ recommendations about what type of shipping is best for your business. 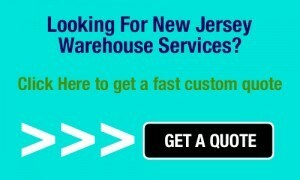 For example, depending on how much product you need to ship, and how much it weighs, you might consider either full truckload (TL) or less than full truckload (LTL) shipping. And if you’re shipping smaller or lighter shipments daily, it’s also worth considering expedited LTL freight shipping, which will likely continue to grow as lightning-fast freight delivery becomes even more necessary. If your shipments need to travel longer distances, such as between major metropolitan areas or over large bodies of water, you’ll want to consider intramodal transportation. It’s just what it sounds like: a combination of different modes of transportation, like trains, trucks, and ships, to get your products from Point A to Point B. If you need to move a lot of inventory at once, and/or if you’re interested in a more environmentally friendly option for the amount you need to ship, rail shipping is a smart option, too. While you may have fewer options for location and delivery, you’ll be able to ship a lot of product at one time with the same amount of fuel — plus, you won’t have to worry about delays due to traffic or weather. As you can see, there are many different freight shipping options to choose from. Make sure to research your options and think about your specific needs before you decide what type of freight shipping is best for your business. If you can, talk to a few different freight companies about your business and your needs to get recommendations and see what the options are in your area and the areas to which you need to ship. There are a lot of options out there, so make sure to consider them all before choosing the best one for your business.